Also, I had quite a few emails asking about my pocket calendars. I purchased them at Walmart and they do include a vinyl cover. I pulled the cover off and recovered the calendar and put the vinyl cover back on. Very easy. The calendars were $2.97. I have seen the calendars without the vinyl covers as well but I like that they add some protection to your design. Wow spectacular card!!!! 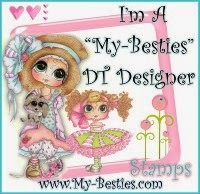 what a gorgeous design and i love the sentiment too!!!!! Fabulous work!!!! Oh, this is so cute! Really love how you put this card together, everything works perfectly. And then Ms. Tilda...fantastic. 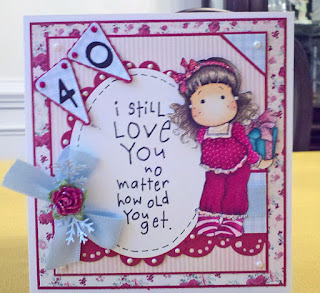 I think your exSIL will be happy turning 40 with this card!! Totally stunning! Your design, sentiment and image are priceless! This is super super sweet! Your SIL must love it! Luv this...so sweet and pretty! Great card I know that she will love it. Love your design and color choices. Oh my goodness!!! 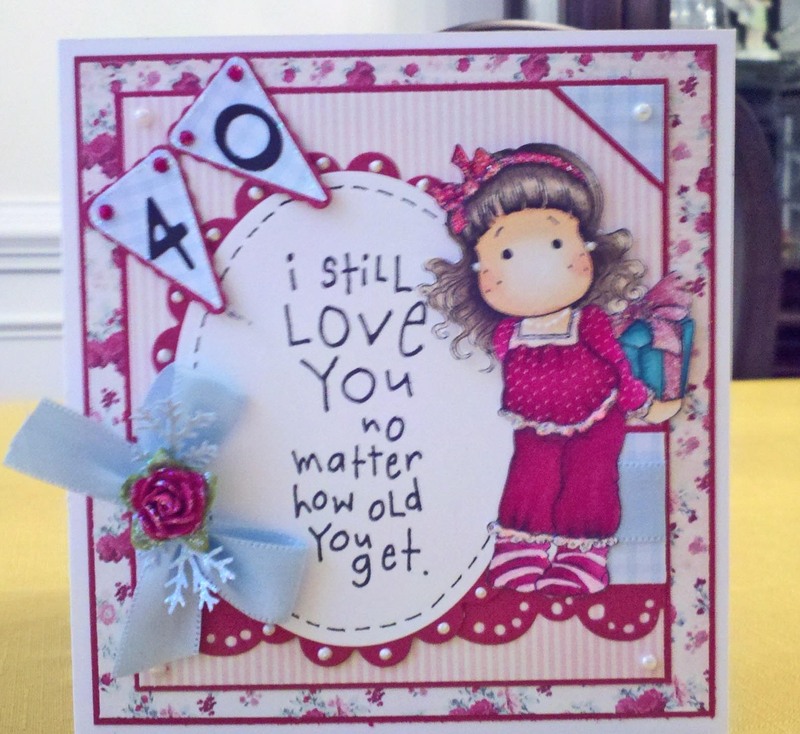 How cute is that sentiment!!! I love it!! Great job! 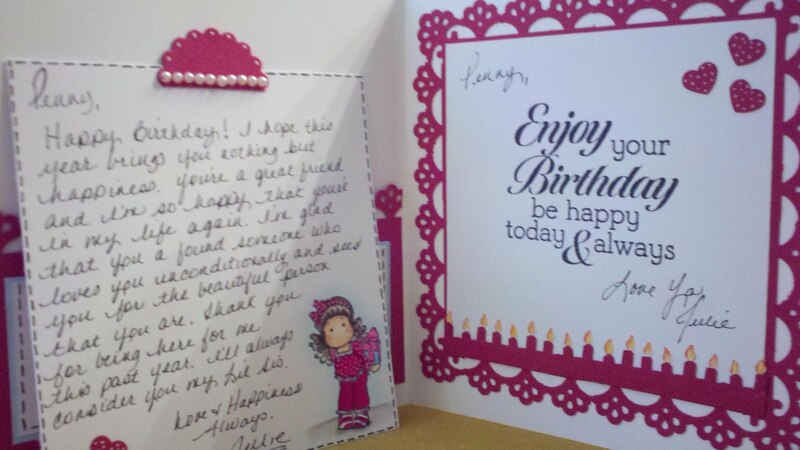 Awesome card Julie. I love the sentiment on the front. Beautiful! papers and colors are just perfect. and Tilda of course is delightful! What a sentiment - you are so sweet - LOL! 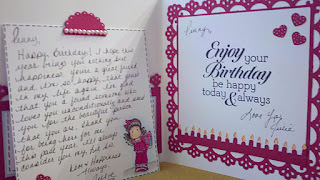 Your birthday card is great!